View the entire table of contents for the Oct 15, 2016 issue. 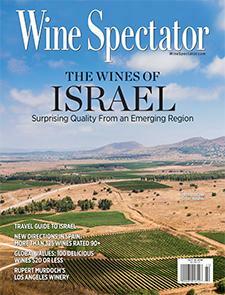 A millennium and a half ago, the land that is modern-day Israel was renowned for its wine. The numerous ancient wine presses still being discovered today demonstrate how great the demand was for wine from this part of the world. For the full article, check out the new issue of Wine Spectator, on newsstands September 13, 2016.